AP LAWCET 2019 Answer Key – Andhra Pradesh State Council of Higher Education (APSCHE) will release AP LAWCET 2019 Answer Key after the examination. The answer key will be released for Andhra Pradesh Law common entrance test. AP LAWCET 2019 exam will be conducted on May 06, 2019. 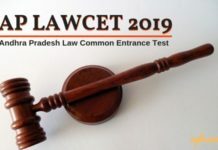 If the objections raised by the candidates are upheld, the relevant corrections will be made and the result for AP LAWCET 2019 will get released. The maximum marks in AP LAWCET 2019 are 120. Each question of the AP LAWCET 2019 exam will carry 1 mark. To know how to calculate your scores on the basis of AP LAWCET 2019 answer key, have a look at the page below. The answer key will for AP LAWCET 2019 wil be released in two phases – preliminary answer key and final answer key. The answer key focusses on providing correct answers to the students. Students will get a rough idea about their scores in AP LAWCET 2019 through the answer key. Students can have a look at the schedule of AP LAWCET 2019. Release of Provisional Answer key To be announced! 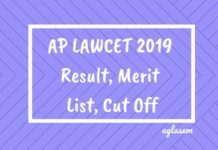 Declaration of Result AP LAWCET 2019 Exam To be announced! Candidates can follow the steps to download the answer key. Visit the official website i.e www.sche.ap.gov.ap/lawcet. 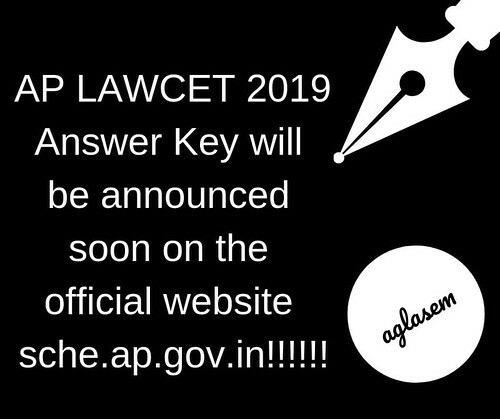 Click on the AP LAWCET 2019 Answer Key Link. 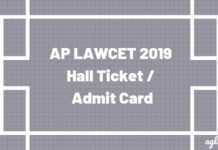 Candidates have to provide the Registration Number and AP LAWCET 2019 Hall Ticket number. Candidates have to select the required course. Answer key will be displayed on the home screen. Candidates can download or take a print out it as per their convenience. AP LAWCET 2019 paper will comprise three parts. Part A will consist 30 questions of (30 marks), Part B will consist of 30 questions (30 marks) and part c will consist 60 questions of (60 marks). The total no of question will be 120, there will be no negative marking. Each candidate will be awarded 1 marks for the correct answer and no marks will be deducted for the wrong answer. Candidates who will score above or up to 42 out of 120 will be eligible for the AP LAWCET admission. Although, candidates have to wait for the final result to be declared. 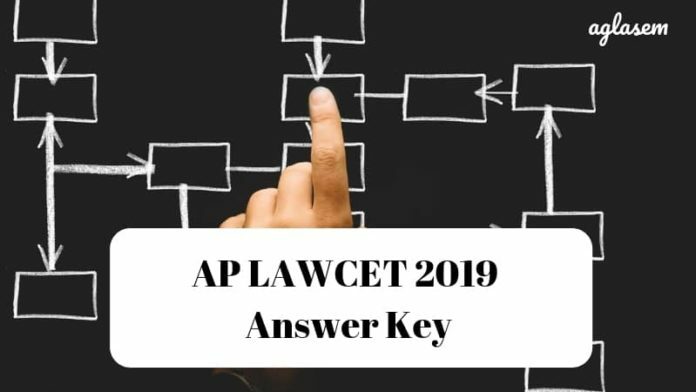 How to get AP LAWCET 2019 Answer Key? Candidates who want to get the answer key may have a look at the steps below which can help them guide through the process of downloading the official answer key from the official website. Upon clicking on the link, the students will be able to check the answer key in PDF format. Candidates must take a printout of the answer key for their reference. Candidates will be intimated about the beginning of this facility on the official website. The candidates will be given the form for filing objections in the answer key. The format for filing the objections will be available after the conduct of AP LAWCET 2019 Examination. To file the objections, students will have to follow the below steps. Firstly the stuents have to visit the official website. From the notification bar, click on Objections. A form will get opended in which the candidate has to fill the details such as details of the candidate, details about the objections, candidate’s name and candidates signature. The main idea of releasing an Answer key is to give the candidates a rough estimate of their expected marks. Candidates can claim regarding the wrong answer until the final answer key will be released officially. Scores released by the conducted body will be considered as the final score and after that, no further changes can be made. Sri Krishnadevaraya University released the AP LAWCET Result for the appearing candidates on its official website. The candidates can access their result in the scorecard format. Evaluation – Exam conducting body shall ensure that checking of all papers to be done correctly. There are careful processes involved in the evaluation, checking, scrutiny, tabulation, ranking. Therefore, SKU/APSCHE shall not accept any requests for re-totaling of the marks given by the invigilator. Ranking – Candidates will get rank in AP LAWCET 2019 exam on basis of their performance in the entrance exam. That is to say, first candidates will get marks on basis of correct and incorrect answers. Then they get a rank on basis of those marks. Tie-breaking – In such cases, marks in part C of the exam are given the foremost priority (candidate with higher marks in part C gets better rank). Then marks in part B gets the second priority. If the tie persists then both candidates get the same rank. Meanwhile, the elder one will get more preference than the younger one.